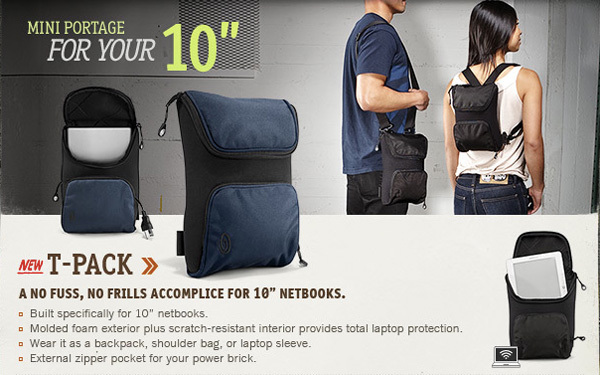 The NETBOOK Resource Center :: Welcome to a special NOTCOT Section - Sponsored by Samsung. Enjoy! 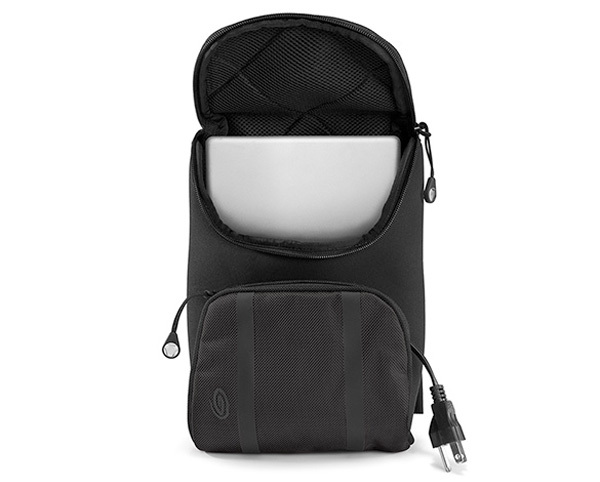 It’s been both amusing and fascinating to watch this new genre of cases appear in the last year, more and more laptop sleeves and pouches specifically for 10” and under netbook sized devices (kindles and ebooks are starting to be mixed into the category as well). I suppose the part that amuses me is that so many of our everyday bags (or at least purses for women!) will already fit these devices. You can get a very chic oversized (or not even THAT oversized) of a clutch to protect or conceal your netbook. 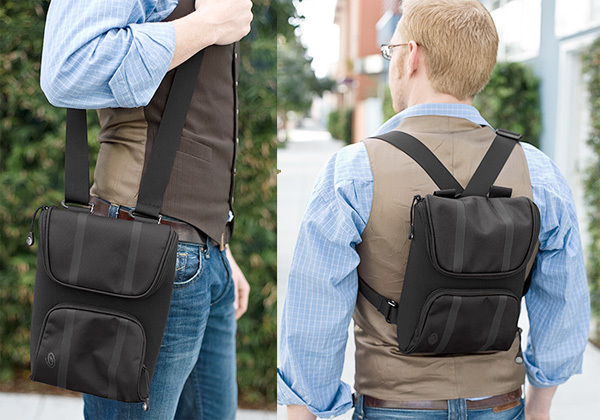 In fact, i suppose a lot of those mens manbag/mini messenger sizes would work quite nicely as well too. 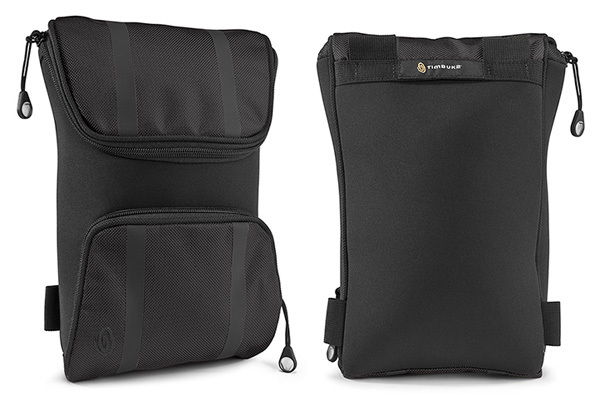 But here’s the latest one to grace my inbox… to be used as a backpack, messenger, sleeve… Timbuk2 has a new T-Pack! See more pics for details and a sense of scale on the next page. 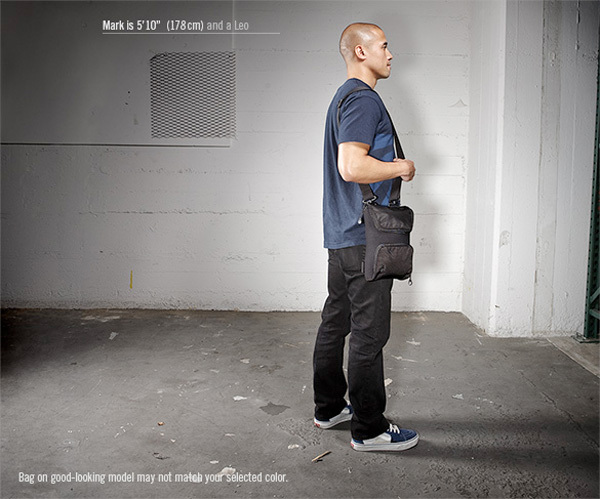 Design and Concept Copyright NOTCOT INC 2006-2009. Work in Progress - So be nice.